Embroidery is fun and it allows people to use their creative juices for a lot of projects including putting designs on their curtains, towels and shirts. It is true that embroidery will be a lot easier and faster with the help of an embroidery machine. 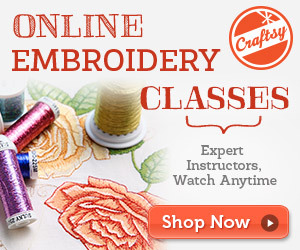 You may check out online embroidery machine reviews to find the idea one for you. Our aim with this website is to provide the consumer with in depth home embroidery machine reviews of all the different models on the market. We’ve done hours of research so that you don’t have to. If you found value out of this site please leave us a comment.